If you’ve just finished creating your blog and have some amazing content to share, then you’ll want to make sure you are registered with the major Search Engines. Here you have two choice; just wait until Google visits your website or register a blog with Google Search. The first method can be slow, but the second method ensures you’re listed from Day 1. 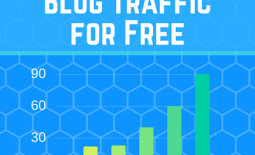 Now registering a blog with a search engine isn’t as difficult as it seems and Google controls about 90% of the web search traffic so you’ll want to start here. 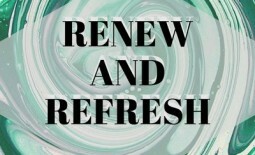 Go to this page or type http://google.com/addurl into your browser. Fill the URL box with your blog’s URL. And then type the verification words. Then hit Submit and Google will do the rest. Now you know how to register a blog with Google Search, why no go and add your blog to some other popular search engines. Not surprisingly the process is very similar to register a blog with Bing. Visit this page or type http://www.bing.com/toolbox/submit-site-url into your browser. 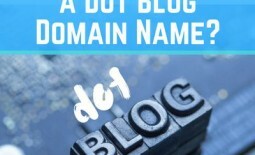 Fill the URL box with your blog’s homepage URL. And then type the verification characters. Do you want to go for the trifecta and try one more? This process was very similar to the other two search engines but since 2010 Yahoo search is managed by Bing. Previously you would have gone to the Yahoo Submit URL Page and then submitted your website. But it is no longer required to submit your website to YAHOO! 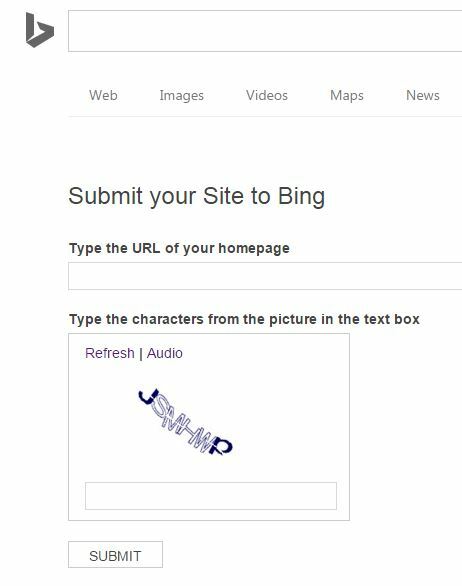 if you have registered your blog with Bing. If you can’t be bothered registering your blog with every Search Engine on the web then you can use a free search engine service like Entireweb to automatically list your website or blog for you. You just submit your URL and Email and they’ll let you know when you’re listed on all the search engines. It’s really that simple. Do I need to Register my Website with Search Engines? No, you don’t need to register on separate search engines as long as there are links already pointing to your blog or website URL. Eventually, the search engine crawlers will find your website and index it appropriately. But if you are in a hurry then you can manually add your URL for peace of mind. There is no penalty for listing your website more than once. 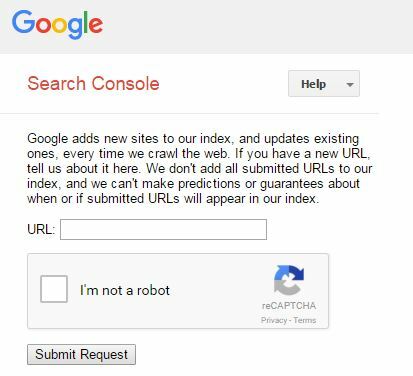 The other method that bloggers sometimes use is it get’s submitted automatically when you register with Google Webmaster Tools, but more on that next week. If you’ve got any more questions about Registering Your Website then feel free to pop them in the comments below and I’ll try to answer them best I can. 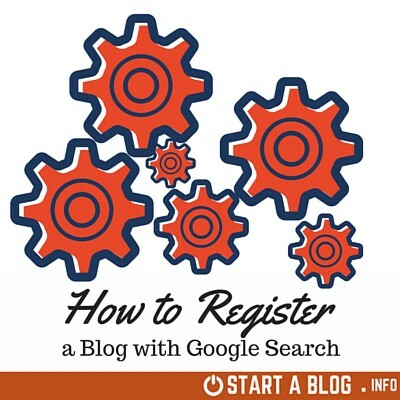 Share the post "How to Register a blog with Google Search Engine"